Our various presentation shelves enable you to store bottles, display your bottles in a functional but attractive way and also store opened bottles upright, thanks to the tasting shelf. 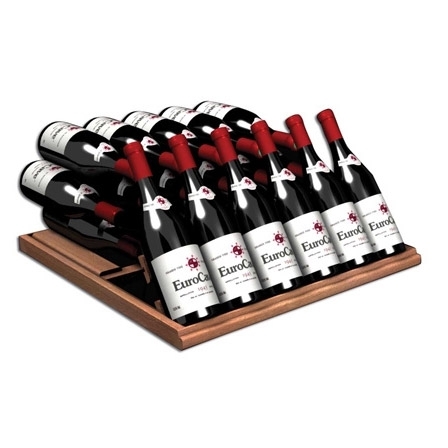 Suitable for all EuroCave wine cabinets apart from Compact range models (S259, S059, V259, V059). 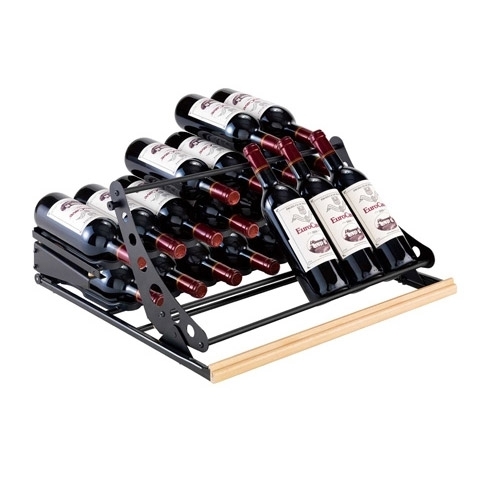 It is adapted to all EuroCave wine cabinets apart from the Compact range models (S259, S059, V259, V059). 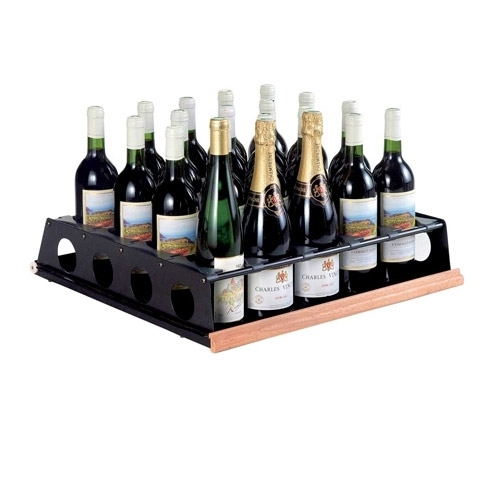 This presentation shelf enables you to store bottles, display bottles in a functional but attractive way and also store opened bottles upright, thanks to the tasting shelf. 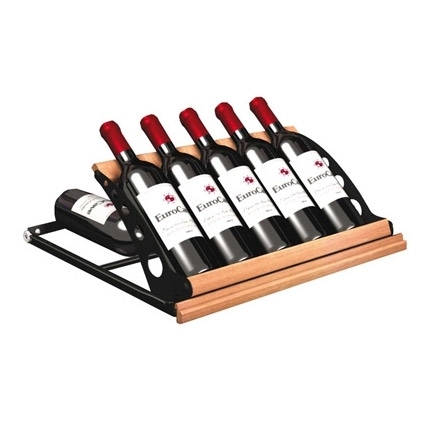 This shelf facilitates access to each individual wine bottle and enables presentation on a single row. Our patented “Main du Sommelier shelf” system is equipped with a dual-material body, providing a rigid structure to hold the bottle and a soft material which adapts to the shape of the bottle and protects it from vibrations.